Both Ruri & Kumai-chan stands among the average japanese women, really a good pairing!!! 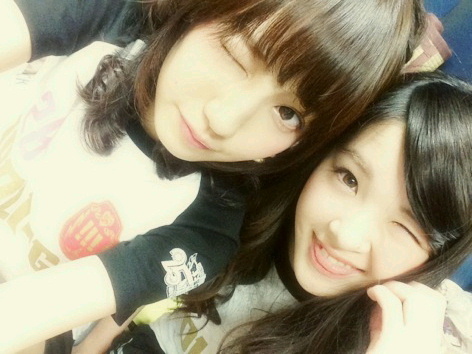 although not from the same group..
Mayu F. and Michaela make a cute pairing. Michaela crying out in protest upon being pecked on the cheek.